In Monster Roller, discover a vast and colorful universe populated by wild monsters. You will need to collect the monsters in their original and evolved forms. With your team trained in this way, face off against your opponents' monsters in the arenas. It will be a matter of using the best strategy to achieve your goals, for example by combining the abilities of several monsters to increase their strength tenfold. 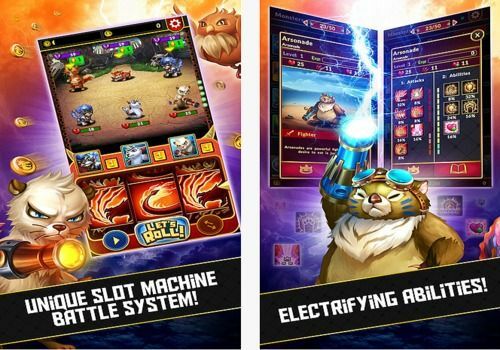 You will also need to evolve your monsters to unlock their full potential and unlock new abilities. In total, 40 monsters with strengths and weaknesses, each with a specialty (healers, fighters, etc.) You can then determine what characteristics of your monsters you want to evolve to create your dream team. A particularly complete arena fighting game with many customization features. Play as the son of Rocky Balboa's best enemy in this boxing game with graphics powered by the powerful Unreal Engine 4.